You’ve finally make the decision to purchase a vehicle. You’re excited about the prospect of owning a new (or newer) automobile, but you are not looking forward to applying for an auto loan. You’ve had some unforeseen difficulties in the past and now your credit scores are lower than you would like. You’re reasonably sure that you will need subprime auto financing (aka loans for people with poor credit). While you have done some research, you have little or no experience with auto financing or what it takes to secure a strong loan approval terms. If this sounds like you or someone you know, contact Oxmoor Mazda’s special finance department. We can help. As Louisville, Kentucky’s premier subprime auto financing dealership, Oxmoor Mazda specializes in helping people obtain auto loan terms that fit their specific needs and budget. Over the years, we have helped thousands of local customers secure the strongest possible financing terms on vehicles they love. Unlike other Kentucky dealerships, our qualified staff of automotive experts do not dictate terms or force you into buying just any vehicle. Our mission is to match each customer with a car, truck, or SUV that fits their particular lifestyle with a monthly payment that is both comfortable and affordable. This guide is designed to help our customers understand their options when researching auto financing with bad credit. Many factors go into the approval process and it is extremely important to be aware of your strengths and weaknesses before you apply. Even having a basic knowledge of auto financing can help you to achieve stronger loan terms on the vehicle of your choice. 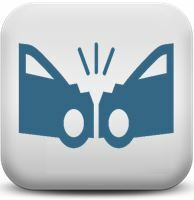 It’s also important to differentiate between myths and facts regarding bad credit auto financing. Subprime Auto Financing – How Does It Work? It is a common misconception that bad credit auto loan lenders simply do not care about a borrower’s financial situation. Some believe that lenders attempt to make as much money as possible on every loan – charging borrowers the highest interest rates with the shortest terms possible. This is definitely not the case. In reality, lenders do everything possible to make auto loan terms as comfortable and affordable for subprime car loan borrowers. Keeping a borrower’s loan affordable is actually beneficial to a lender’s financial interests. Because a loan that is comfortable and affordable is more easily repaid. If the terms of a bad credit loan are too demanding, the likelihood of default increases dramatically. To ensure consistent repayments on an auto loan every month, lenders carefully account for anything that could negatively influence a borrower’s ability to pay including gross monthly income, current debt load, and credit history. Debt-to-Income Ratio : What Is It Important? Put simply: a debt-to-income ratio is a person’s monthly expenses divided by their monthly income. When subprime auto financing companies analyze loan applications, one of the first things they review is a borrower’s current debt load and their current gross monthly income. If you’re like most people, you probably have monthly credit obligations that you must pay: a home mortgage, credit cards, student loans, alimony, child support, etc. If a borrower’s monthly debt expenditures are high, lenders may consider them to be a greater risk than someone with less debt. The debt-to-income ratio also helps lenders understand a borrower’s level of disposable income per month (i.e. money left over after paying bills). The more disposable income a borrower has, the easier it will be to repay their auto loan. While some lenders may have minimum income requirements, many auto financing companies do not. Though it is not the only factor considered, subprime auto loan companies view the debt-to-income ratio as a strong indicator of how easily a borrower will be able to repay their auto loan in the future. One of the most powerful indicators used by subprime auto financing companies when evaluating a potential borrower is past credit history. In general, finance companies assume that how a person has paid their debts in the past is a good indicator of how a person will pay their debts in the future. While some may argue that not every person’s credit history is an accurate reflection of their present situation, it is important to recognize that lenders specializing in subprime auto financing rely on the credit information that is currently available. As a borrower re-establishes their credit and creates a new history of timely payments, their scores will improve and their credit profile will positively change. Thus it is important to remember that other factors such as debt-to-income ratio, down payment money, loan terms, and the type of vehicle selected can counter-balance a poor credit history. If you are trying to decide between buying vs. leasing, please feel free to contact one of our financial consultants with questions. Another important decision-making tool that subprime auto financing companies use to determine borrower eligibility is loan-to-value. The size of the auto loan, along with the cost of the vehicle, interest rate, and term, determine a borrower’s monthly payment. While most lenders have minimum loan amount requirements, the amount of the loan is not as important as the percentage of the vehicle’s cost. Similar to the debt-to-income ratio, loan-to-value or LTV indicates how much risk a lender is taking should they need to repossess a vehicle. The more equity a vehicle has, the less risk the lender assumes. With less risk, lenders can offer auto financing at better terms (longer time period, lower interest rates, etc.). Perhaps the most powerful weapon a borrower can employ when applying for a loan is producing a sizable down payment. As we know, lenders are constantly assessing risk. They calculate many variables to predict how much risk a loan poses to their financial future. The lower the risk to the lender, the better the terms a borrower will receive. Higher credit scores indicate less risk, while lower credit scores indicate greater risk. Likewise, a higher LTV indicates greater risk, while a lower LTV indicates less risk. A borrower can directly impact the lender’s risk level by lowering the LTV. How? By providing more down payment money and requiring a smaller loan amount. In short: the larger a borrower’s down payment, the less risk a lender takes and the better loan terms they will receive. If you do not have a down payment, but own a vehicle with equity, value your trade and think about using your vehicle’s equity toward the down payment. In addition, using a payment calculator can help borrowers determine how much down payment a borrower will need to achieve their desired monthly payment. Every lender that specializes in poor credit auto financing has their own list of minimum requirements for loan approvals. However, there are several key items that most bad credit car loan companies generally agree upon. The list below is general and should only be used as a guide. During the loan evaluation process, many subprime auto financing companies place limits on the loan size in order to make it more affordable for the borrower. 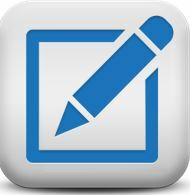 As a result, buyers often must reexamine their list of vehicle requirements. While options such as heated seats or a sunroof are desirable, they can add unnecessary expense and ultimately increase the price of the vehicle. To accurately determine what is necessary in a vehicle, it is important for subprime borrowers to think about their regular, daily driving habits. If someone lives in a hilly or mountainous region of Kentucky or Indiana, they may be necessary for them to purchase a vehicle with all-wheel drive. However, all-wheel drive may be an unnecessary expense for someone who lives in a flat, suburban area. Likewise, purchasing a large SUV may make sense for drivers with a large family but may be an unnecessarily expensive for a single person. Certain technologies, such as Bluetooth phone and navigation system, are useful and important to some borrowers. If budget is a concern, it is advisable to avoid cosmetic options such as pin striping, tinted windows, or chrome wheels. Calculating a borrower’s eligibility for subprime auto financing can sometimes be a complex process. While companies specializing in bad credit car loans examine many areas before making their decision, it is equally important for borrowers to honestly evaluate their own needs before committing to purchase. While lenders consider things like credit debts, down payments, and credit histories, borrowers must consider other expenses that could impact their ownership. Among these are the Big Four: registration (tags), auto insurance, vehicle maintenance, and fuel costs. Though admittedly minor, vehicle registrations are nonetheless a mandatory expense. Renewal of tags typically occur once per year. The costs vary depending on county of residence. Most importantly, they are required by law. Without the proper paperwork, drivers could be subject to hefty fines or possibly even arrest. Similarly, auto insurance is a monthly expense that can vary wildly depending on the insurance company, residential geography, driving record, and sometimes even a borrower’s credit history. Vehicle maintenance is a necessary and unavoidable expense that can greatly affect your ownership. Maintenance costs can fluctuate based on the vehicle’s current condition, the owner’s driving habits, and how well the owner stuck to the recommended maintenance schedule (oil changes, tune-ups, etc.). 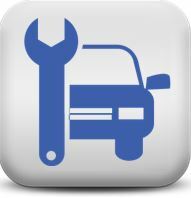 Basic auto maintenance and repairs generally range from hundreds to thousands of dollars per year. 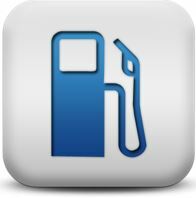 Perhaps the most visible monthly expense is auto fuel such as gasoline or diesel. Auto fuel costs can vary greatly depending on many factors such as driving habits, engine size (4 cylinder, 6 cylinder, 8 cylinder), even the vehicle’s weight. Speak with an Oxmoor Mazda Special Finance Specialist Now!